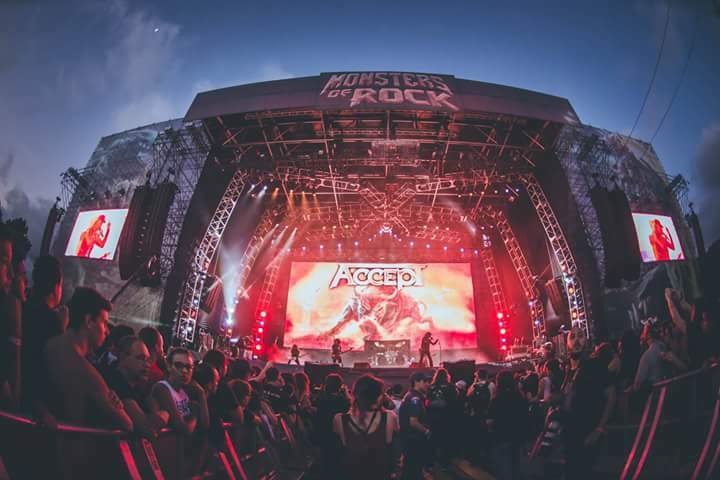 ACCEPT, an internationally-recognized, classic heavy metal band from Germany, touring the globe for over three decades, is now utilizing a highly portable system with an AVB (Audio Video Bridging) backbone. ACCEPT needed an agile, mobile system that would deliver superior sound quality for a consistent performance at each tour stop, regardless of location. Set-up needed to be quick, seamless, and most importantly, easy to transport worldwide; fitting all of the pieces into luggage was a must. The solution is a combination of an Avid VENUE S3L-X console and a Pivitec personal monitor mixing system linked via Ethernet AVB by an AVnu-certified Extreme Networks Summit X440-8p switch. To combat excessive stage volume, which is a common problem in many show venues, ACCEPT paired its Avid solution with the Pivitec personal monitor mixing system that enables the perfect listening environment for the audience as well as the musicians and tech staff. With a potent feature set that includes Ethernet AVB network connectivity, Pivitec is a true networked audio solution that supports just about any audio interface or console and offers advanced control from a range of native iOS and desktop apps. The Pivitec network easily interfaces with AVB compatible Mac or PC computers for recording, playback, and virtual sound check. This standards-based Ethernet AVB networking solution also offers ACCEPT a future-proof way to take advantage of next-gen compatibility with hardware and software from other manufacturers. 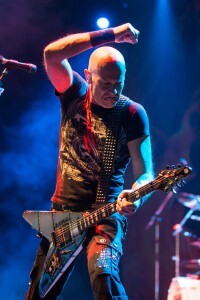 “Before we began using the AVB touring rig, we had to rely heavily on local gear which was different every time,” says Wolf Hoffmann, guitarist for Accept. “It easily took a couple of hours per day just to get acquainted with the products and set the entire system up. On top of that was the need for lengthy sound checks so that we could determine if the piece-mealed gear was running correctly. Accept’s entire touring rig, including amps, is packed neatly into approximately 10 bags, all small and weighing in at 50 pounds or less. The group has integrated other elements from its presentation, including lighting controls.